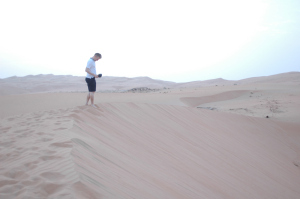 Recordings from The Empty Quarter, some miles south of Abu Dhabi. 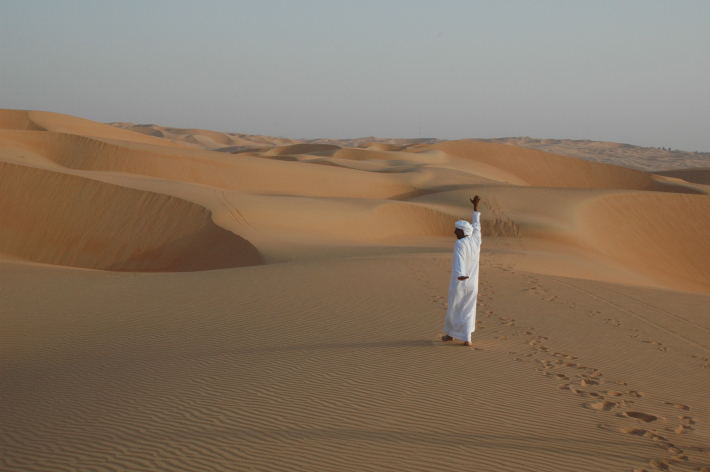 While Tashkeel was closed for two weeks, guest artists Fari Bradley and Chris Weaver journeyed with Abu Dhabi Art Hub to their dual residency buildings in Liwa, in The Empty Quarter (map at the end of this post). 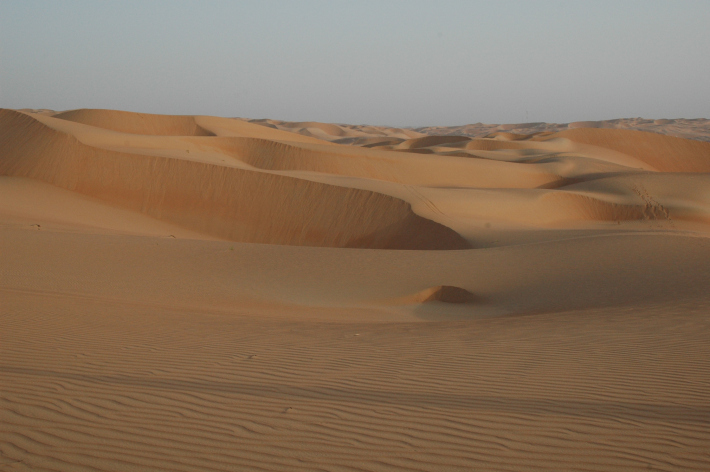 There at dawn and dusk they recorded the sound of compressing, falling sands, the desert wind and isolated water wells on the Emirates/ Saudi border which you can hear below. They visited the residency gallery space and found traces of artists from afar afield as Iran, Bosnia and Serbia in the workshops, where iron and woodwork is a fully supported medium. The tour guide was the director of Abu Dhabi Art Hub who can be seen explaining the significance and nature of The Empty Quarter in the short clips below. 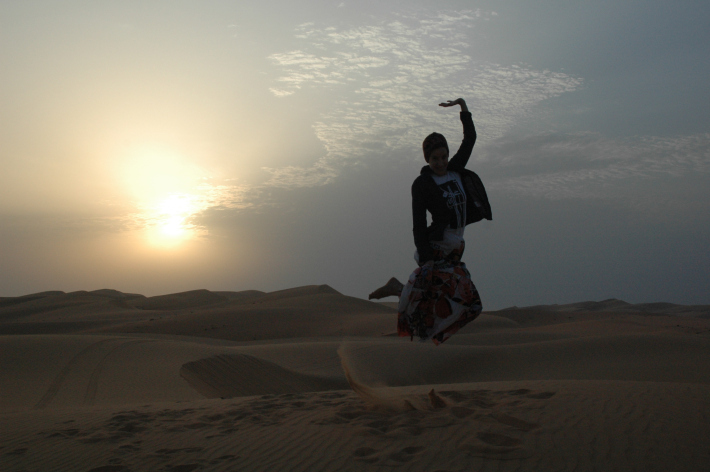 Sand offers no support for jumping! The expansive horizon, a balm to the eye.